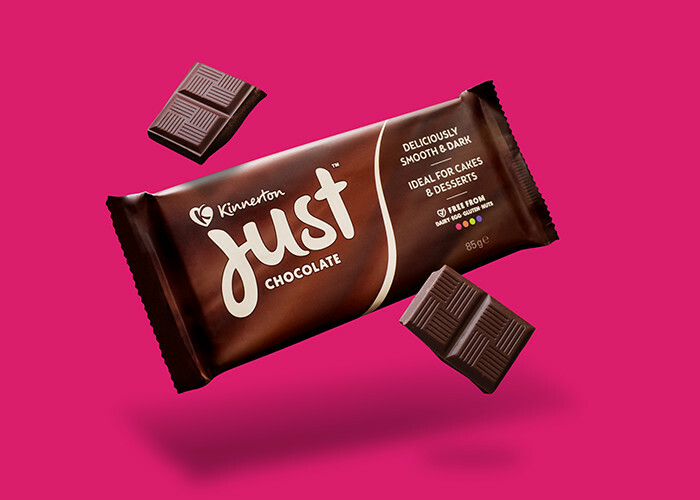 A playful new identity and name for Kinnerton's 'Free From' chocolate range. 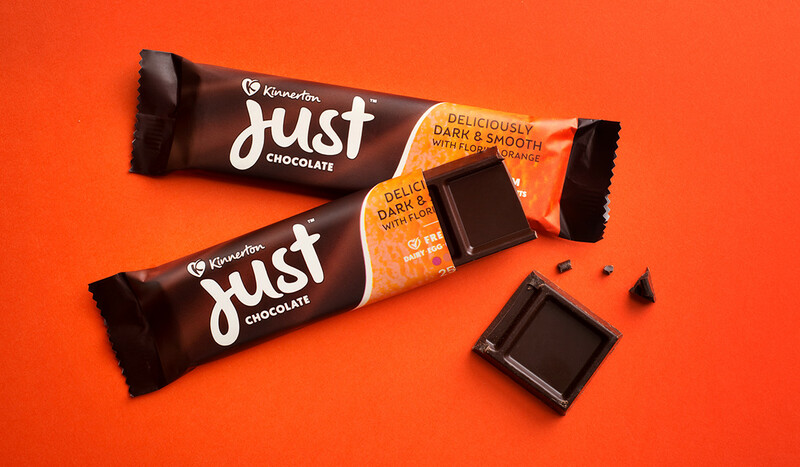 Q+H were approached by Kinnerton Confectionery to help create a new brand for their Free From chocolate range. Renowned for its delicious taste and being free from dairy, the range required a new identity that really reflected its personality and product quality. 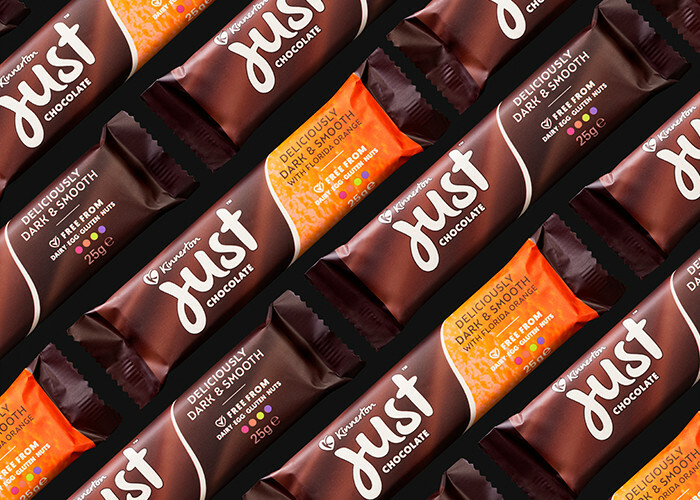 Q+H worked alongside the Kinnerton brand team to reinvent both the branding and packaging, and so...Just Chocolate was born! A refined colour palette and typography injected with some playful elements help to enhance the overall luxury appeal, whilst creating a confident and memorable identity that will stand out in the Free From aisle. 2 Deliciously Dark & Smooth flavours are available to buy now - Classic and Florida Orange, and more products due to hit the shelves throughout the year!